I’m a little late on this month’s Wild Things, but I spent the last couple of weeks in the French Alps learning A LOT about climbing and alpinism and taking photos of beautiful places to bring you some great blogposts… so that’s my best excuse! Regardless of that, I read, listened to, and saw a lot in August that I want to share - things, people and events that inspired or motivated me. August was a busy month for me, hence the great lack of blogposts (sorry!). Much of the first week was spent working. 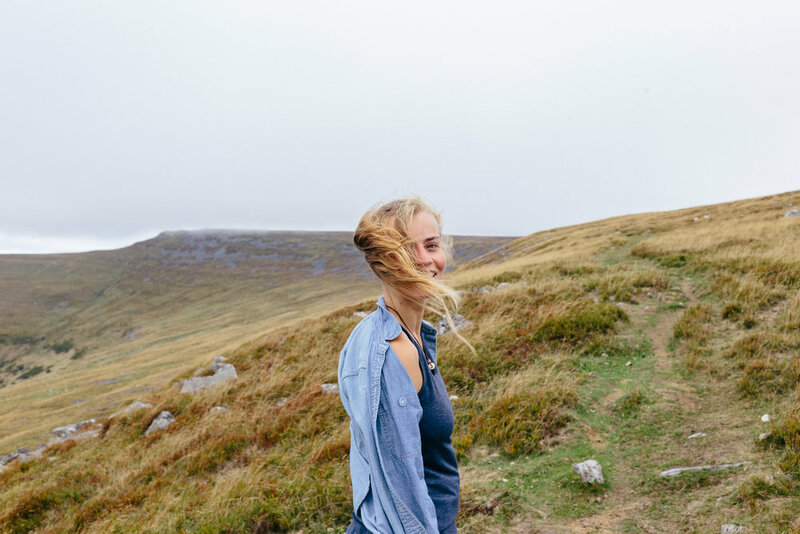 I went to the Women’s Adventure Film Tour hosted by She Went Wild that was incredibly inspiring, followed by a week in Wales with my family and at Green Man Festival with Harvey. Then just a few short days back at work before Harvey and I were off to the Alps, a trip I had been eagerly anticipating for a long time. In short, August for me was all about being inspired, craving open spaces, and discovering the mountains - and this month’s Wild Things will reflect that. I hope they inspire you too! This is definitely the single most thing that has inspired me this month. I actually met Emma in Chamonix; Harvey and I had just finished climbing the Index (my first ever Alpine route!) and Emma and a climbing partner were on their way up to the start. “Hey, we have the same leggings!” she shouted over to me, “Yeah they’re great!” I shouted back referring to our matching Fjallraven Abisko tights. After Emma and her climbing partner decided not to do the Index (as it was already late in the day and they would miss the lift back) she came over and told us she has just finished climbing every mountain in Europe in one year. Ok, this woman is amazing! I thought. And meeting her just after doing my first Alpine climb felt much more than coincidental. We exchanged Instagrams and I later began reading about Emma’s journey and feeling even more inspired. Emma wasn’t a climber. Until a year ago she was a completely new Alpinist who set herself a goal and achieved what she put her mind to. Actually, she is an incredibly successful Swedish fashion photographer who simply loves the mountains and Alpine environments. I wish I’d had longer to talk to Emma, but I’m slowly making my way through every blogpost on her website, and may even have an interview coming up with her soon! I hope our paths meet again, but in the meantime I will continue to be inspired by her determination, passion and can-do attitude - she’s currently back in Chamonix, climbing some more mountains! This article by British climber and photographer, Charlie Low, really resonated with me. I’ve expressed a lot my feelings on fear and pushing boundaries in climbing, and sometimes I feel like I’m the only person saying it - am I the only one that finds climbing scary, but who still wants to keep climbing? 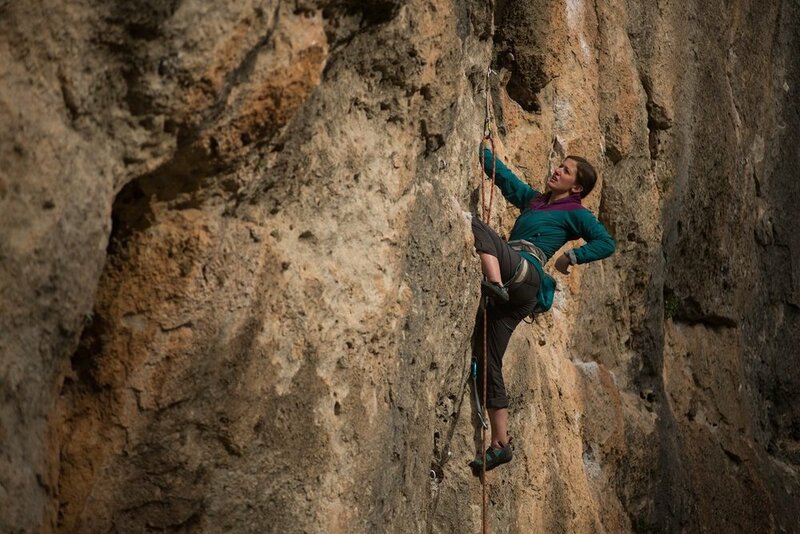 Having spoken to others in the past, I know that’s not the case, but reading this article by Charlie and the way she expresses in words her feelings of fear in climbing, as well as gender expectations (something I have noticed but haven’t yet expressed in words) made me say ‘me too me too!’ twenty times over. Charlie is also a brilliant photographer, and definitely one to follow for climbing inspiration. I write a lot about gear on my blog… I actually really love gear, so much so that' it’s become a running joke amongst my friends! Regardless of that, I’ve discovered in recent years that having and investing in the right gear is super important to your experience outdoors - especially as you get into doing more wild things, like wild-camping, alpinism, bivying etc. You want kit that is good-quality, lightweight, efficient and environmentally friendly - gear that does the job its meant to, and will last as long as it can. For me, finding the right gear usually involves lots of internet-scouring and personal recommendations from friends. Reading photographer and explorer, Jess Dales’, blog about backpacking gear was brilliant as it was like getting personal recommendations from a knowledgable friend, with plenty of options to choose from. After reading Cheryl Strayed’s Wild, I have looked upon the writer as a beacon of wisdom and inspiration. When I saw this podcast by She Explores featuring Cheryl, I listened straight away, and when it finished, I immediately wanted to listen again and make notes… Cheryl talks about how she never imagined herself being a self-help writer, and in turn I never envisioned myself needing one. But there is something about the way Cheryl talks and writes; she imparts wisdom, knowledge and inspiration in the most fluid, non-preachy way. One of my favourite parts of this podcast is when Cheryl talks about kindness, and how undervalued kindness is in our culture. This really resonated with me, as sometimes I think that I am too kind and giving, that I should be stronger and harder to be successful. Alternatively, Cheryl expresses how kindness doesn’t subtract from strength, but rather that it is strength and a vital part of our lives and successes. Cheryl also talks about fear in creativity, being an unassuming wilderness athlete, and imparts advice from her mother. I’ll definitely be listening to this podcast again when I’m feeling low. It lifted me up in so many ways and inspired me to be kind, giving, strong and creative - all at the same time! Early in August, I went to the Women’s Adventure Film Tour in Manchester. An amazing evening hosted by She Went Wild with a number of short women’s adventure films on the big screen. It was incredible to see the theatre completely packed out for two screenings, and to be inspired by two hours of films about amazing and inspiring women. This was the first film of the night, and perhaps my favourite for the beautiful cinematics, breathtaking landscapes, and the inspiring protagonist, Leighan, who follows her calling to become a female pilot and a mother. There is an accidental theme to this month’s Wild Things… it seems to be mountains and strong woman. I guess those are the things that have inspired me this month, and will probably continue to inspire me for a long while more. I hope you enjoy these little snippets fr, the net, but more importantly I hope you get outside because of them.